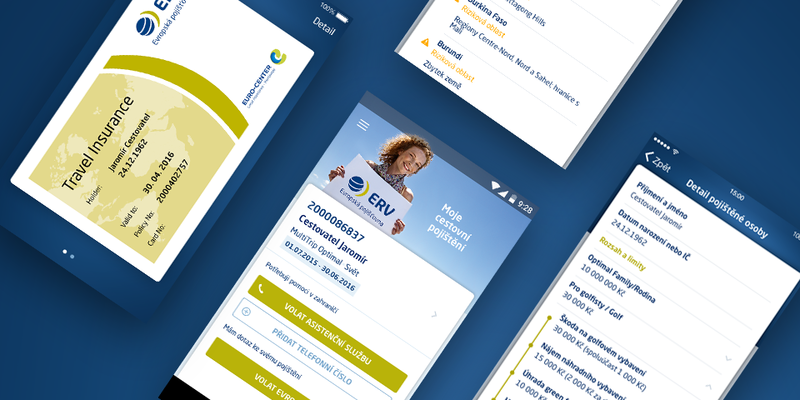 The application will offer clients of ERV European travel insurance group an electronic version of the card with basic information about insurance. 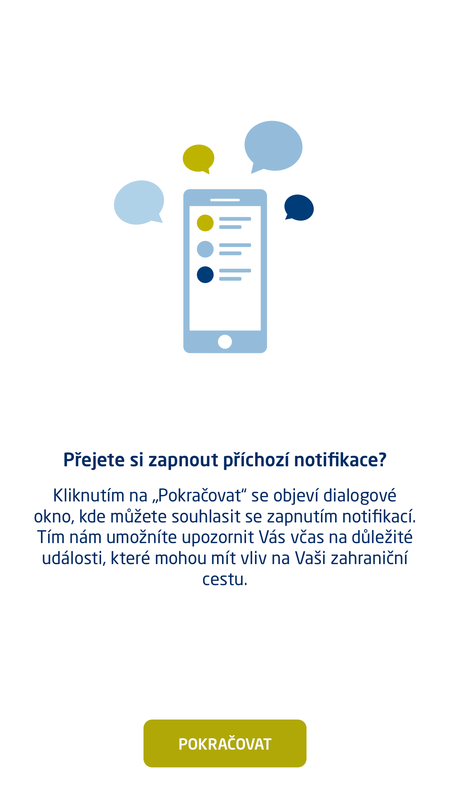 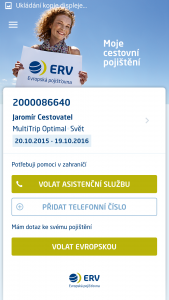 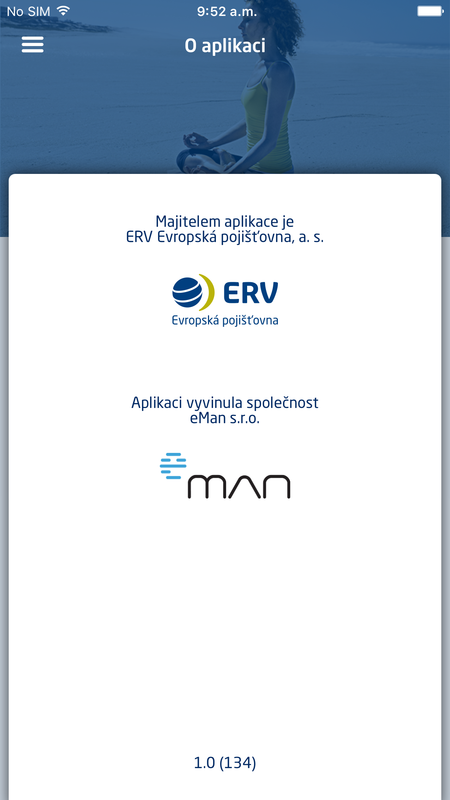 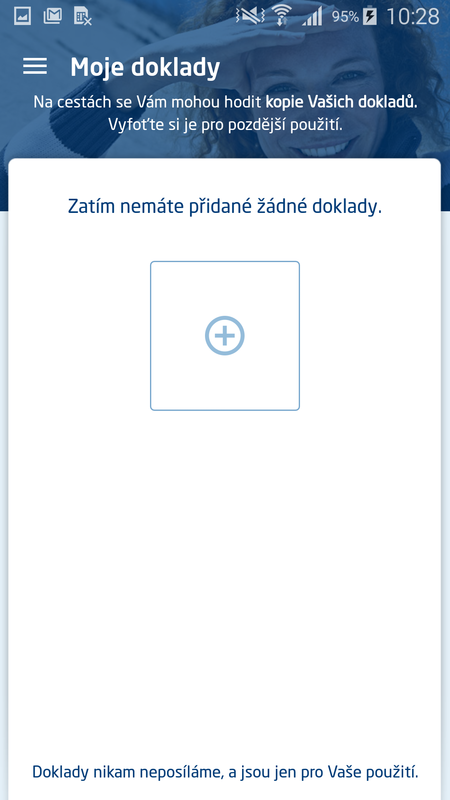 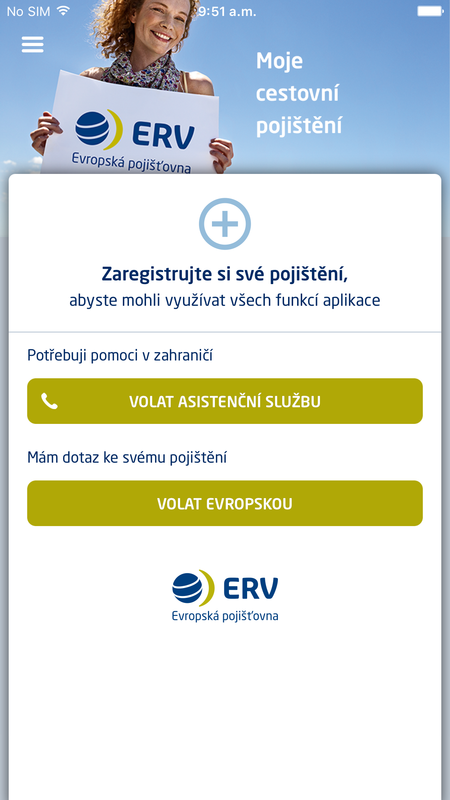 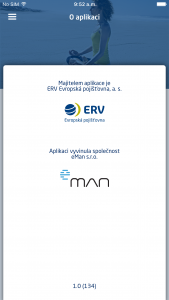 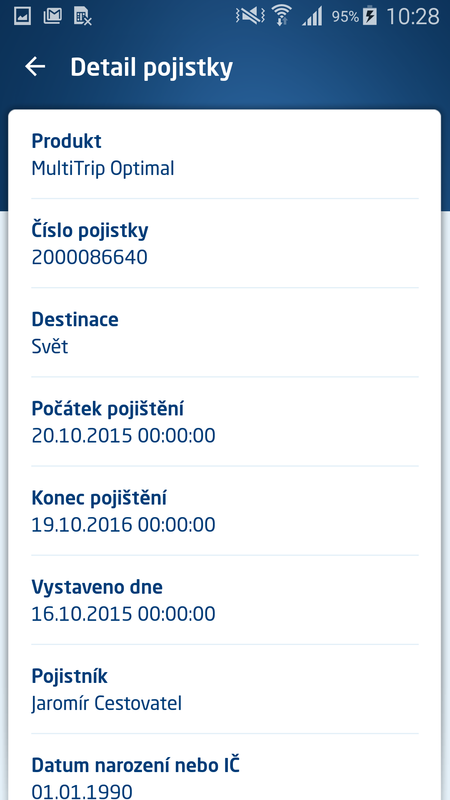 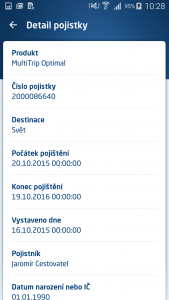 Client:ERV Evropská pojišťovna, a. s.
The application will offer clients of ERV European travel insurance group an electronic version of the card with basic information about insurance. 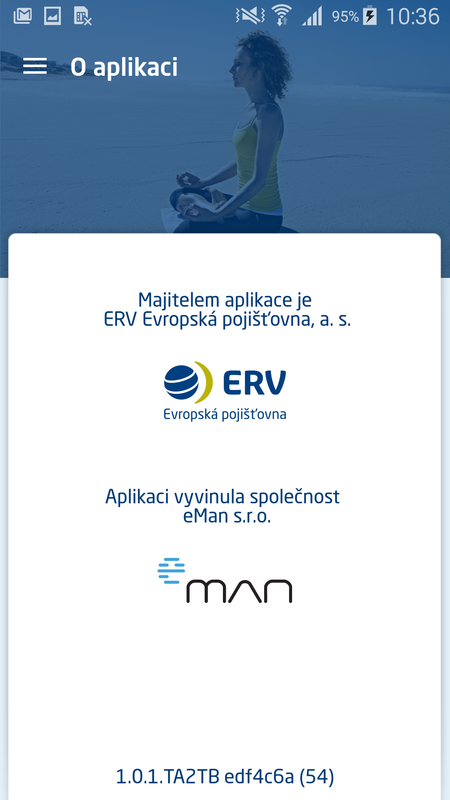 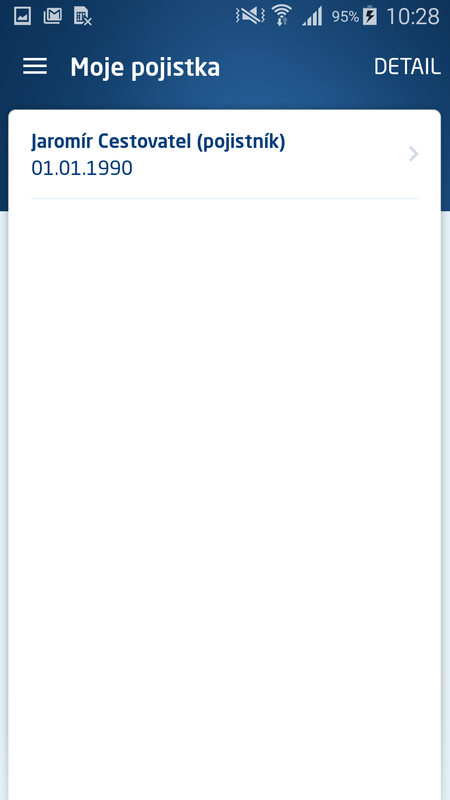 It is also possible to use assistance service calling, an updated list of risk areas, advice on foreign travel, documents associated with the insurance and simplified insurance terms and conditions in form of questions and answers. 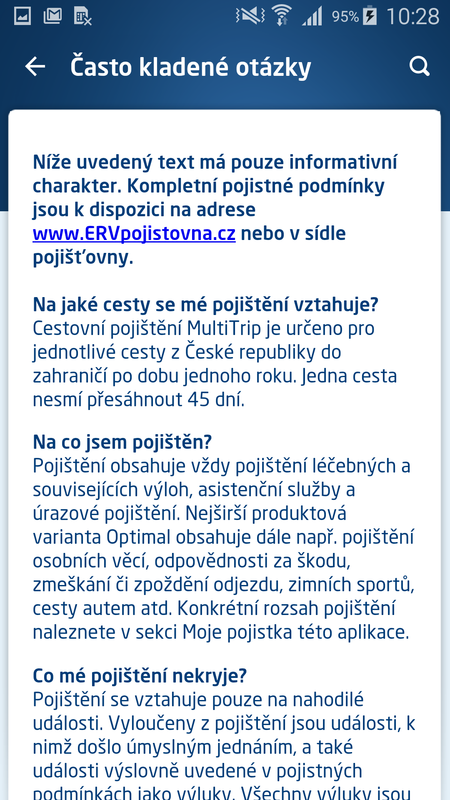 Customers, who have purchased MultiTrip full-year insurance, will find information about the extent of their insurance and insurance of other family members in the application. 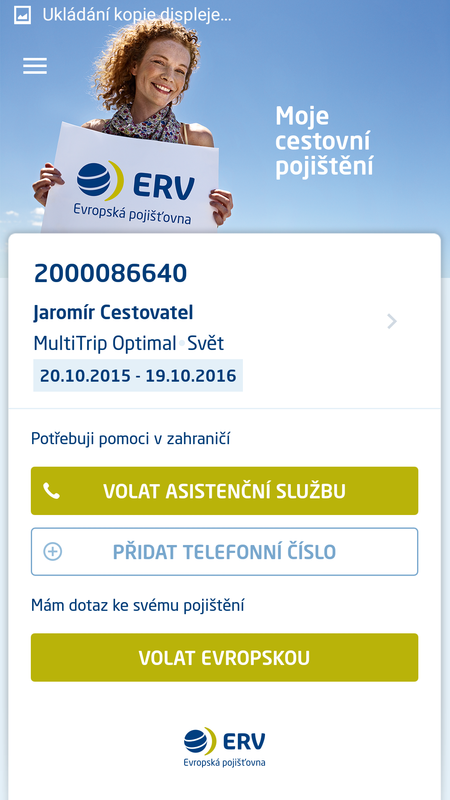 The application can be used even if you are not insured by the ERC European travel insurance group. 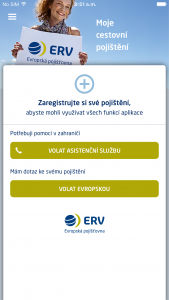 Even without registration of insurance, it is possible to use the so-called safe-deposit box of documents, calling on assistance service or advice for trips abroad. 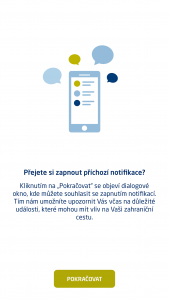 The safe-deposit box of documents serves as a secure storage for valuable documents, such as copies or photos of travel documents, plane tickets or bills from the hospital (photos do not appear in the classic phone gallery due to security).